SOLD OUT! IR ‘On the Road’ Conference will be at the Ritz Carlton Tokyo, 8th - 11th May 2019. We look forward to returning to Asia and a much anticipated first event in Japan in May 2019. For the first time, IR will be hosting 4 events per year and this is our first fixed Asia / Pacific event, however it will follow a very similar format to our previous ‘On the Road’ meetings which have been held in Toronto, Singapore, San Francisco, Shanghai, Dubai and Miami in recent years. Tokyo is the largest city in the world and in fact if Tokyo was a country in its own right, it would have the 8th largest economy, making it an economic powerhouse and one of the world’s key business hubs. As you would expect, the conference will reflect this and there will be a strong emphasis on in and outbound opportunities, providing an insight into the regions well known financial and technology sectors. In addition, there will also be a fantastic social program, including; an opening drinks reception in the prestigious Ritz Carlton, networking dinner at Gonpachi Nishiazabu (where they filmed the famous fight scene in Kill Bill), an optional excursion to Nikko and plenty of other activities and opportunities to experience Japanese culture. The annual ‘On the Road’ event is usually the highlight of the IR event calendar and we hope to see you there. The evening drinks reception will be hosted at the Ritz Carlton Hotel. The reception will include drinks and canapés and offer attendees time to meet in a relaxed social setting prior to the main conference day. Presentations and networking day within the hotel. During the main conference day, attendees will hear from the IR management team, guest speakers and have significant networking time. Networking dinner at Gonpachi Nishiazabu, a blend of tradition and uniqueness in their dining experience. Gonpachi Nishiazabu is not only famous for “Kill Bill restaurant” since Quentin Trantino was inspired by trader Japanese decor, but also the former Prime Minister Junichiro Koizumi took the former President George W. Bush there while Bush was visiting Japan in 2002. Multiple meetings / breakout sessions for our various working groups; dedicated meetings for the regional, firm management and women in leadership groups; and workshops on different topics. Join us for a truly unique experience at the Robot Restaurant! Japanese culture meets robots and bring you to a new world of entertainment! Optional full day excursion to the beautiful town of Nikko. Including visit to UNESCO World Heritage Site Nikko Toshogu Shrine, Kegon Falls, Lake Chuzenji and lunch. 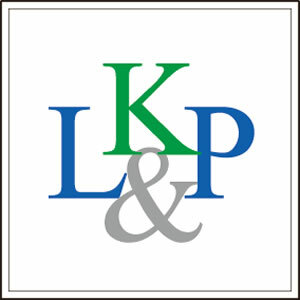 Kuroda Law Offices is a full-service law firm,founded in 1995. Our focus is intellectual property litigation including Japanese and foreign patents, international business matters such as direct investment and finance projects, and mergers and acquisitions both domestic and abroad. We alsohave ample experience with areas such as investing in developing nations and growing markets, Internet businesses using digital contents, and sports marketing. We have offices not only in Tokyo, but also in Shanghai and Taipei, and our affiliate, KLO Investment Consulting (Shanghai) Co., Ltd., is located in Shanghai, with branches in Guangzhou and Beijing, making it possible for us to offer comprehensive local, one-stop service. Established by James Conomos in July 1992, James Conomos Lawyers is a boutique legal firm offering specialist expertise in commercial litigation and insolvency. From humble beginnings, the firm has become one of Australia's leading boutique law firms. Based in modern offices in Brisbane's central business hub, James Conomos Lawyers is a team of high calibre professional staff who take an active role in the legal community, ensuring their expertise is always at the leading edge of their profession. The philosophy of James Conomos Lawyers is the commitment to consistently providing their clients with prompt, personal service, coupled with high quality, cost-effective solutions. And as a boutique firm, their clients notice a level of service that is often difficult to find in other practices. The team at James Conomos Lawyers take the time with clients to really understand what their needs are and provide the best solution overall, rather than merely seeking to represent them as lawyers. Founded in 1964, Daiichi Legal Professional Corporation is a full-service commercial law firm representing domestic and global companies through its Tokyo and Osaka offices. We have a long history of handling matters in conventional practice areas, such as IP, labor & employment, insolvency, and commercial and IP litigation. In fact, Daiichi lawyers are continuously highly-ranked in “Best Lawyers in Japan” in the areas of Corporate and M&A, IP, Labor and Employment, Real Estate, Insolvency, and Criminal Defense. At the same time, we are also responsive to the fast-changing demands of international commerce and technology that our clients face. We are well-positioned to provide our clients with cutting-edge advice in matters involving such emerging legal fields as Blockchain Technology, AI, RPA, Big Data and IoT. As a mid-sized firm, we are committed to providing our clients with superior legal advice and innovative solutions so you can achieve your goals. Our motto is “Your Vision First”. Honmachi International Law Office, P.C. Honmachi International Law Office (“HILO”) was established in October 2015 by Kazuhiko Nishihara and two other professionals as a full-service international law firm in Osaka, and it added a new experienced attorney, Ryoko Yabuki, in August 2016. Kazuhiko Nishihara is admitted in Japan and New York and has practised in Japan and in the US, and has been providing many clients with many kinds of legal services. Each of HILO’s member makes every effort to provide our clients with satisfactory solutions abiding by the rule of law and justice. A whole raft of new laws and regulations has been passed in an effort to reinvigorate the Indonesian economy. This has led to some confusion in the corporate sector, particularly in decoding how the different central and regional government regulations actually apply to individual businesses and companies. Awareness has thus arisen in the business community of the need for expert legal advice, whereas in the past many firms felt they could muddle through on their own. Our team of legal practitioners in Indonesia bring to bear their local and international experts in various areas of practice with emphasis on foreign investment, providing a ‘one-stop-shop service’ for our investors. 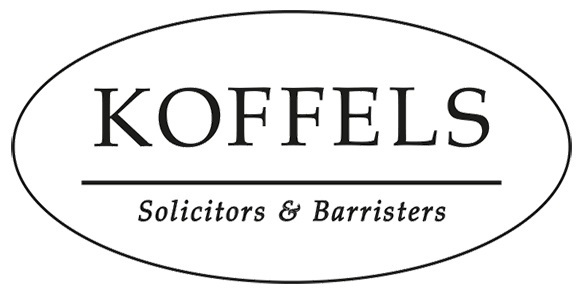 Our lawyers are familiar with legal issues relating to foreign investment.